Recently I watched Man of Steel for the uptinth time, and as usual I was cuckoo for coco puffs over Henry Cavill. He is just so damn hot, and that body sculpting suit...gimme a second I'm enjoying the memory. No more kalson and tights...yeppy. I loved the latest edition to the franchise. Two hours told me more of Superman's story; Jor-El's perspective, Zod's mindset, Krypton's demise, Clark Kent's upbringing, than all the movies combined. So you may be wondering, if I have such high praise for the movie, and the actor is drool worthy in so many ways, then why do I hate Superman. Because an hour after I watched the movie, a Superman animated movie played and it reinforced everything I hate about this particular hero. He's sanctimonious, a bit of a hypocrite and arrogant. I didn't always hate Superman. I liked Christopher Reeves in the old Superman movies, and Dean Cain in Lois and Clark was okay. My aversion for Superman started with Smallville and slowly progressed with Justice League (yeah I'm a grown woman and I still watch Saturday morning cartoons). I was into Smallville when it first started until I realised that Superman thinks he's better that Lex Luther. Okay, maybe morally he probably is, but acting like you have a halo over your head is a bit irritating for us mortals. In Justice League he's even worst. He looks down his super powered nose at everyone from that pedestal he's put himself up on. I guess when you can fly you're above everyone else. I hate his hypocrisy of crucifying the bad guys for their moral indiscretion but giving his friends a free pass for theirs. It's not okay for Lex to spy on people but it's okay for Chloe to do it? My breaking straw was when Batman opined that they needed to protect the world from the Justice League if they ever went rogue and Superman was adamant that it would never happen. I was like, dude, red kryptonite turns you evil. Is it really beyond the realm of possibility that a hero, yourself included, could go villain? Are you really that conceited? Why do I like Batman more than Superman? Because Batman knows his fault and shortcomings. He doesn't pretend to be a hero. He's completely aware of the fact that he's capable of doing wrong and he doesn't continue to act holier-than-thou when he does. He has a dark side and doesn't pretend otherwise. In the end, what's my point. Only that the "perfection" that is Superman, doesn't always translate well into romance novel hero. A goody-goody, who thinks he's always right, and makes you feel morally inferior (even when he isn't trying) can become tiring to read about. I'm not always good, so a little imperfection in my hero makes him seem real, and attainable. The naughty little girl in me likes a little badness in my guys. So please don't hate on me because I said I hate Superman. In actuality, I'm cool with what he stands for, I just hate the condescending personality he has evolved into. 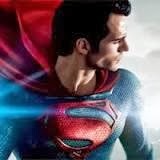 Like I said in the beginning, I liked Man of Steel, both the actor and the movie. And that's my naughty thoughts on superman type heroes. P.S. Don't forget to share/google+ this post if you liked it. I agree that the guy that plays Superman now is freakin' freakin' HOT!!! God I could look at him for days!! I watched Smallville...and then I grew to hate it because it took Clark FOREVER to become Superman. He's not my favorite superhero either. My husband and I just started watching Arrow-I have to say so far I'm liking it! I thought it would be like Smallville but it's not! Spiderman was my favorite as a kid. I'm not really sure why either. As an adult I like superheros that are not all good nor bad, they are conflicted like the rest of us. Makes them more relatable and when they do do right, all the better. Jamie, from Game of Thrones, although not a superhero (though just has hot as one) is a good example of this I think. Well. I see. So, I guess having an opposing opinion is a no, no. Forgive me for my imposition. I welcome every opinion...just not when you're purposely trying to be insultive...anyway my post was geared towards romance novels and whether or not the Superman of Smallville or Justice League, not the comics or the Christopher Reeves movies, or the Man of Steel movies, would make a good romance novel hero...what do you think? Since you're such an expert. I've actually responded in full at my blog. And to be clear, I wasn't purposely being insulting in the least. You taking it that way is...uh...you taking it that way. It wasn't what it was. I simply gave an opinion about your opinion. You didn't like my opinion so you deleted it. Absolutely your prerogative. However, since that was deleted, I don't want to spend a long time responding and have it be deleted again. Thanks. That is hilarious. I agree but the nature of a hero is also their humanity, even if they are a super charged alien...lol. super agree,nice post. following you back.new GFC follower.